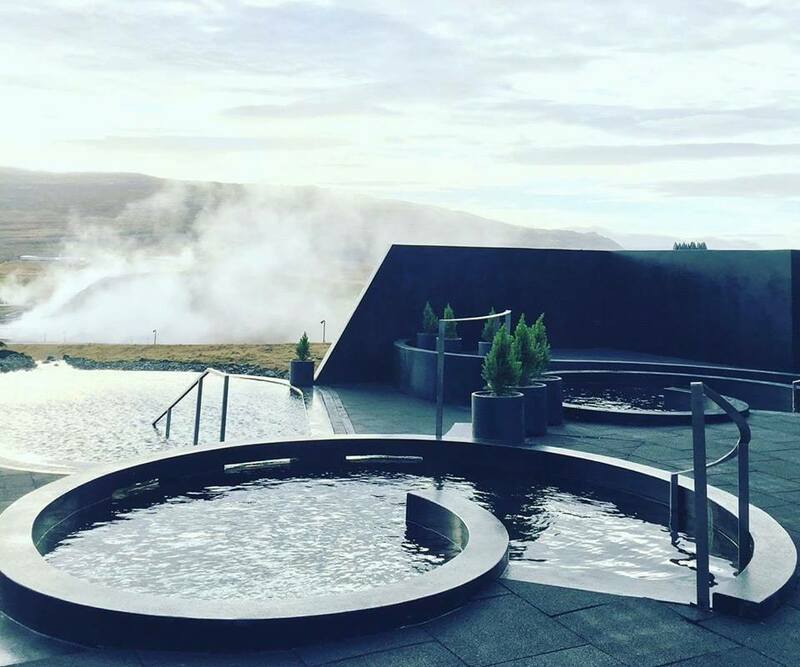 We are very excited to welcome Krauma Nature Baths into the fold of otherworldly wonders surrounding Hotel Husafell here in West Iceland. 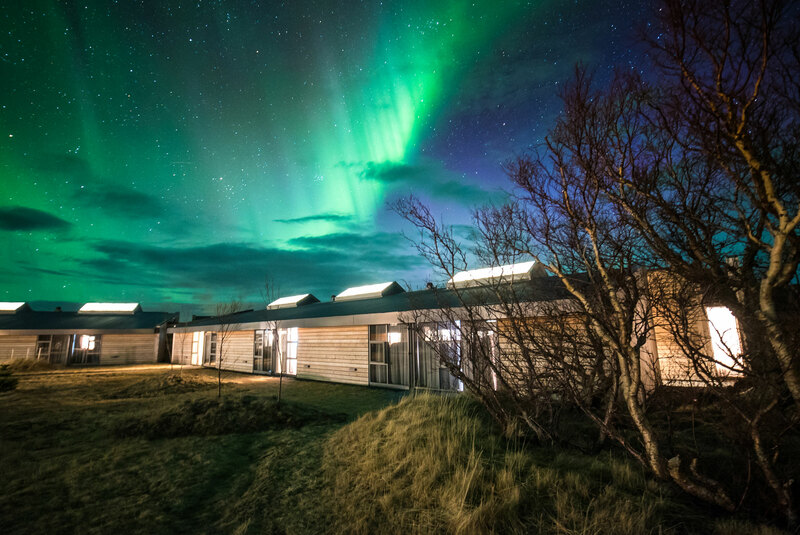 Open year round, the world-class facility features five traditional Icelandic nature baths, a cold tub to really get the blood pumping, two calming saunas and a relaxation room where you can unwind by a fireplace. The outdoor geothermal baths are fed by Deildatunguhver hot spring located just steps away and connected by a walking path. Deildatunguhver is Europe’s most powerful hot spring and its hot water is used to heat homes and businesses in the Borgarnes region. Krauma achieves the perfect bathing temperature by combing natural hot spring water with cold water from Rauðsgil Ravine which originates from Ok, the smallest glacier in Iceland. No chemicals are added to the water which self-renews through the powerful forces of Deildatunguhver which flows at 48 gallons/180L per second. The modern building is constructed from environmentally friendly materials and consists of changing facilities for 140 persons, a gift shop and a restaurant opening in late November. 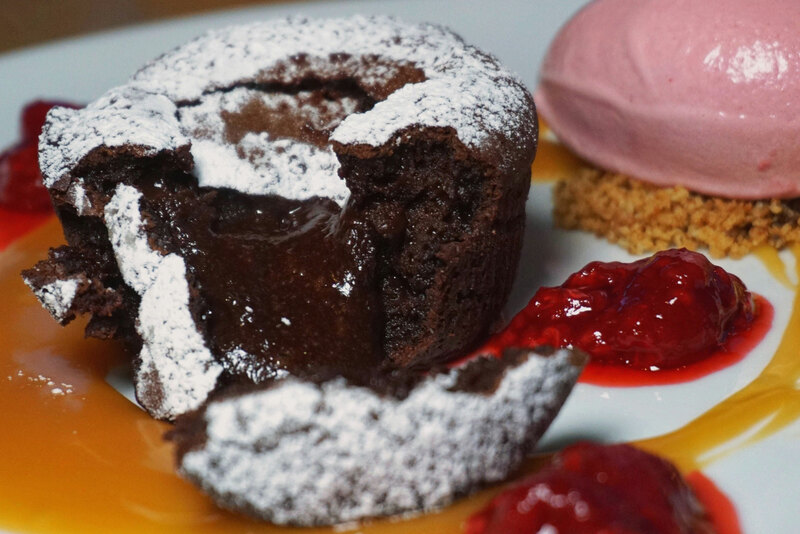 Located 90 minutes from Reykjavik and just 25 minutes from Hotel Husafell, Krauma is an ideal alternative to the often sold-out Blue Lagoon. No trip to Iceland is complete without an outdoor dip in geothermally heated water. Be one of the first to visit Iceland’s newest geothermal attraction by taking advantage of our 3-day Northern Lights and Krauma Baths offer. This special package offers a 30% discount on our regular rates and is valid until March 1, 2018. We hope to see you in steamy West Iceland!